Tracks of Southern African animals - Track ID allows the user to find tracks two ways: first by animal and second by shape and size. To find a track by animal simply refer to the list arranged alphabetically and select the animal you want to view and the track and related notes will be displayed. To find an animal by track, select the shape of track that best fits what you see, then select the size of the track compared to common objects. A possible track and animal is displayed and the notes may be checked to confirm that the animal may be found in that area, if it is not correct try again! Tracks of Southern African animals covers: Namibia, Botswana, Zimbabwe, southern Mozambique, South Africa, Lesotho and Swaziland. Empreintes d’animaux d’Afrique Australe – IDEmpreinte permet à l’utilisateur de faire une recherche de deux façons : soit par l’animal, soit par la forme et la taille de l’empreinte. Pour trouver l’empreinte d’un animal, il suffit de se référer à la liste alphabétique des animaux et de sélectionner l’animal dont vous voulez visualiser l’empreinte. L’empreinte accompagnée de notes s’y rattachant s’affichera. Pour trouver un animal par une empreinte, sélectionner la forme qui correspond le mieux, puis la taille en comparaison avec des objets communs. Une empreinte possible et un animal sont alors affichés ainsi que des notes pour confirmer que l’animal en question peut se trouver dans cette région. Si le résultat est incorrect, recommencez ! Empreintes d’animaux d’Afrique Australe couvre : la Namibie, le Botswana, le Zimbabwe, le Mozambique austral, l’Afrique du Sud, le Lesotho et le Swaziland. Spuren Südafrikanischer Tiere – Spur ID erlaubt dem Anwender, auf zwei Wegen Spuren zu finden: per Tier, oder nach Form und Größe. Um eine Spur per Tier zu finden, wählen Sie einfach nach der alphabetisch angeordneten Liste ein Tier aus. Die Spur und Zusatz-Information werden dann angezeigt. Um ein Tier aufgrund einer Spur zu finden, wählen sie die Form aus, die am ehesten dem entspricht was Sie sehen, wählen Sie dann die Größe der Spur aus im Vergleich zu Standard-Objekten. Eine mögliche Spur und das Tier werden angezeigt, die Zusatz-Information kann verwandt werden um zu bestätigen, dass das Tier in dieser Gegend gefunden wurde – wenn dies nicht übereinstimmt, versuchen Sie es mit einer neuen Eingabe! Spuren Südafrikanischer Tiere umfasst: Namibia, Botswana, Zimbabwe, Süd-Mozambique, Südafrika, Lesotho und Swaziland. Tracks of Central & East African animals - Track Type allows the user to find tracks two ways: first by animal and second by shape and size. To find a track by animal simply refer to the list arranged alphabetically and select the animal you want to view and the track and related notes will be displayed. To find an animal by track, select the shape of track that best fits what you see, then select the size of the track compared to common objects. A possible track and animal is displayed and the notes may be checked to confirm that the animal may be found in that area, if it is not correct try again! Tracks of Central & East African animals covers: Gabon, Congo, Democratic Republic of the Congo, Rwanda, Burundi, Uganda, Kenya, southern Somalia, Angola, Zambia, Tanzania, Malawi and northern Mozambique. Empreintes d’animaux d’Afrique Centrale et Orientale – ‘’ Track Type" ou "TypeEmpreinte’’ permet à l’utilisateur de faire une recherche de deux façons : soit par l’animal, soit par la forme et la taille de l’empreinte. Pour trouver l’empreinte d’un animal, il suffit de se référer à la liste alphabétique des animaux et de sélectionner l’animal dont vous voulez visualiser l’empreinte. L’empreinte accompagnée de notes s’y rattachant s’affichera. Pour trouver un animal par une empreinte, sélectionner la forme qui correspond le mieux, puis la taille en comparaison avec des objets communs. Une empreinte possible et un animal sont alors affichés ainsi que des notes pour confirmer que l’animal en question peut se trouver dans cette région. Si le résultat est incorrect, recommencez ! Empreintes d’animaux d’Afrique Centrale et Orientale couvre : le Gabon, le Congo, le République démocratique du Congo, le Burundi, le Ruandais, l'Ouganda, le Kenya, la Somalie australe, la Tanzanie, le Mozambique du nord, le Malawi, la Zambie et l'Angola. Spuren zentral-und ostafrikanischer Tiere – Spurenarten erlaubt dem Anwender, auf zwei Wegen Spuren zu finden: per Tier, oder nach Form und Größe. Um eine Spur per Tier zu finden, wählen Sie einfach nach der alphabetisch angeordneten Liste ein Tier aus. Die Spur und Zusatz-Information werden dann angezeigt. Um ein Tier aufgrund einer Spur zu finden, wählen sie die Form aus, die am ehesten dem entspricht was Sie sehen, wählen Sie dann die Größe der Spur aus im Vergleich zu Standard-Objekten. Eine mögliche Spur und das Tier werden angezeigt, die Zusatz-Information kann verwandt werden um zu bestätigen, dass das Tier in dieser Gegend gefunden wurde – wenn dies nicht übereinstimmt, versuchen Sie es mit einer neuen Eingabe! Spuren zentral-und ostafrikanischer Tiere umfasst: Gabun, Kongo, die Demokratische Republik Kongo, Ruanda, Burundi, Uganda, Kenia, Südlichen Somalia, Tansania, Nord-Mosambik, Malawi, Sambia, Angola. This application will not provide you with a choreographed hula, it is however the first step towards learning a hula. Without knowing the basics there is no Hula. This application will teach you seven basic steps and some variations on some of these steps using videos. For each step there is a full body video and a close up video of the feet. The videos will loop until another “basic step” is chosen. The Basic Hula Steps depicted in these videos are Kāholo, Hela, Ka’o, Kāwelu, 'Ami, 'Uwehe and Lele Uwehe and the variations are Hela Huli, Kāholo Huli and Kāholo Forward-backwards and to round things out the steps are combined in a Hula Drill. Dieses app beinhaltet keine komplette Hula Choreography, ist jedoch der erste Schritt zum Erlernen eines Hula Tanzes. Wissen der Grundlagen ist Voraussetzung für Hula. Dieses app lehrt sieben Grundschritte und einige Variationen dieser Schritte mit Hilfe von Videos. Für jeden Schritt gibt es eine Ganzkörper-Aufnahme und eine Nah-Aufnahme der Füsse. Die Videos laufen solange, bis der nächste Grundschritt gewählt wird. Die Hula Grundschritte, die in diesen Videos gezeigt werden, sind Kaholo, Hela, Ka´o, Kawelu, 'Ami, 'Uwehe und Lele Uwehe; die Variationen sind Kaholo Huli, Kaholo vorwärts-rückwärts und Hela Huli. Anschliessend sind alle Schritte kombiniert in einer Hula Trainings-Übung. Esta aplicación no le provee de una coreografía pero si de los primeros pasos para aprender Hula. El conocimiento básico es imprescindible, sin el no existiría el Hula. Esta aplicación le va a enseñar los siete pasos básicos y algunas variaciones de ellos mediante videos. Para cada paso le proveemos de un video con la perspectiva del cuerpo entero y otra de los pies. Los videos se repiten hasta que elija otro paso básico. Los pasos básicos del Hula en estos videos son Kāholo, Hela, Ka'o, Kāwelu, 'Ami, 'Uwehe y Lele Uwehe. Las variaciones son Hela y Kāholo con vuelta o giratorio, Kāholo hacia adelante y hacia atrás. Para consolidar, los pasos se combinan en un ejercicio de Hula. Be a Safari Guide and test your knowledge of African animals. Animals are shown randomly and the user selects from a picker the name of that animal. There are four levels of knowledge, from beginner to true expert, and as the level goes up the animals are less common. Be a Safari Guide and test your knowledge of African animal tracks. Tracks are shown randomly and the user selects from a picker the name of the animal whose track it is. There are four levels of knowledge, from beginner to true expert, and as the level goes up the tracks become more difficult to identify. 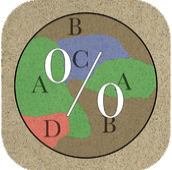 Originally conceived to help ranchers estimate the percentage of various forms of ground cover on selected circles in pastures, AreaPercent may be used to estimate percentage areas in many applications, such as geology thin sections, landscaping or medical sections. The user takes a photograph with their iPad or iPhone and then traces over the image with up to five different colors, that are given user defined labels; corrections and erasures are done with the eraser button, which is toggled on and off. Then it is a simple matter of pressing the Area button and the percentage of the various colors to the whole area traced and tinted is presented on the next view. The areas considered are only those tinted, not the whole screen, so irregular shapes may be evaluated as well as geometric shapes. The area percentages are as accurate as the user’s interpretation of what should be tinted and their skill at finger painting. The brush size for the tinting may be varied in the settings to improve accuracy or to speed up the process for quick estimates. We use a stylus for painting and have achieved good results. We also have used a wide angle lens attachment to take photographs of larger areas that otherwise would be difficult to photograph with the iPad or iPhone built in camera. Because the iPad has so much more real estate to work with, the app is easier to use on an iPad rather than an iPhone. When Allan Savory introduced the ideas of Holistic Management upon the cattle ranching community, several mthods for collecting data were formulated. TransectWalkabout is the first in the suite of apps built around the teachings of Allan Savory and the concepts of Holistic Management as applied to cattle ranching. For each established transect a walkabout is performed recording plants seen. The user first creates a data base of plant types, names and images, with images of 320x480 pixels and .jpg format. New plants may be added to the data base using images moved into the device via iTunes or by using the camera option. 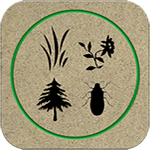 When the app is then run again, the user enters the transect name and the names of observers, then selects Record Plants, Make Notes or Email observations. On the Record Plants screen the user selects from a category of plant, then on the list presented selects the appropriate plant and then presses Add to List to record the observation. For the Notes option, the user may record general observations, or include notes for plants not included in the typical and usual lists presented. The data are stored as a csv (Comma Separated Value) file or as a txt (Text) file and may be uploaded to Apple iWorks Numbers or Microsoft Excel using the File Sharing mode of iTunes, or included as an attachment to an email. When Allan Savory introduced the ideas of Holistic Management upon the cattle ranching community, several methods for collecting data were formulated. TransectCircle is the third in the suite of apps built around the teachings of Allan Savory and the concepts of Holistic Management as applied to cattle ranching. Along the established transects for monitoring a 200ft tape is laid and every 40 ft along that tape a 4ft circle is laid down and the observers then record a series of observations about what is noted in that circle. This includes information regarding plant types, vigor of plants, number of species, erosional features and other observations, generally recorded as scores against a set of values. The user may consult an information page associated with each entry page to determine what scores are given to each value. In the case of plant names, the actual species is noted, so the input is not numerical. The data is stored as a csv (Comma Separated Value) file and may be uploaded to Apple iWorks Numbers or Microsoft Excel using the File Sharing mode of iTunes. A simple data collection app for iPhones and iPads created for ranches with multiple rain gauges or wells positioned around the property. The user enters the name of each gauge or well, which is then displayed in ascending alphabetic order. Upon selection of a gauge or well the user then enters the rainfall noted for that gauge, or depth to water for that well, which is then presented in the order of most recent observation to earlier observations. Should the user wish to export data from this app, the iTunes File Sharing mode may be used to export SQLite files which may then be imported into an SQLite file reader or manipulator on the user's computer. File sharing may also be used to import gauge and well names before running the app. This facility can be used only once, before any other data is entered. Une simple App de relevé de données pour iPhones et iPads crée pour les fermes avec de multiples pluviomètres ou puits repartis sur la propriété. L’utilisateur entre le nom de chaque pluviomètre ou puits qui sont alors affiches en ordre alphabétique. Apres avoir sélectionné le pluviomètre ou le puits, l’utilisateur entre les hauteurs de pluie pour chaque pluviomètre ou les hauteurs d’eau pour chaque puits qui affiche alors les données des plus récentes aux plus anciennes. Si l’utilisateur souhaite exporter ses données, c’est possible grâce à la fonction File Sharing d’iTunes sous forme d’un fichier SQL qui peut être lu ou manipulé sur un ordinateur avec un programme de lecture de fichiers SQL. File Sharing peut aussi être utilise pour importer des pluviomètres ou des puits sur l’App. Cette fonctionnalité ne peut cependant être utilisée qu’une seule fois avant l’entrée de données initiale dans l’App. Pour uploader des pluviomètres et des puits dans l’App, il faut créer un fichier de type json. To use the first time use loading facility to batch load gauge and/or well names, create json files, instructions for how to do this can be found by clicking here. A data collection app for iPhones and iPads created for ranches with multiple rain gauges and wells positioned around the property. The user can choose to view gauge or well locations on maps as a group or individually. With the individual presentation there is also the facility to specify a date range and display rainfall recorded for that period, or changes in epth to water in wells. The data entry option presents a list of gauges or wells in ascending alphabetic order and new gauges or wells may be added, gauge data include name, latitude, longitude and elevation, well data includes, well name, latitude, longitude, well depth and depth to water. Upon selection of a gauge the user then enters the rainfall noted for that gauge, which is then presented in the order of most recent observation to earlier observations, upon selection of a well, the user adds depth to water for that well and the table is updated. There is the facility in gauge entry, rainfall entry, well entry and depth to water entry to edit exiting entries, this facility is useful to add historic data. Should the user wish to export data from this app, the iTunes File Sharing mode may be used to export SQLite files which may then be imported into an SQLite file reader or manipulator on the user's computer. File sharing may also be used to import gauge and well data before runningthe app. This facility can be used only once, before any other data is entered. To use the first time use loading facility to batch load gauge and/or well data, create json files, instructions for how to do this can be found by clicking here . 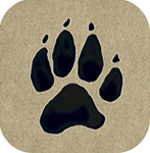 Wildlife guides, researchers and enthusiasts, this is a data collection app for iPhones and iPads created for you. Input data items such as Location, Species, Number of Females, Number of Males and Number of Juveniles and the system will provide the date and the latitude and longitude of where the observation is being made. A data base search feature allows you to look for Species and Dates, Locations and Dates, Species and Locations and Locations and Species over date ranges. In order to fully use the features of this app, a device with GPS capability is preferred or, for a Wifi only device, an external GPS device that has Bluetooth communication capability. For Wifi only devices, the Wifi and Bluetooth features must be on for the app to collect Latitudes and Longitudes from the external device. To use the map feature of the Species and Date Range search a Wifi connection is required. Should you wish to export data from this app, the iTunes File Sharing mode may be used to export SQLite files which may then be imported into an SQLite file reader or manipulator on your computer. File sharing may also be used to import species and location names before running the app, these two files, if used, should be called, locationname.json and speciesname.json, instructions on how to create these files are included in the link below. This facility can be used only once, before any other data is entered. There is also the facility to import existing data from the previous version of the app, GameCountPro. To do this use the File Sharing feature of iTunes to copy the .sqlite, .sqlite-shm, .sqlite-wal files from the old app to the desktop, the files should then be renamed to Game_Count_Peo_II.sqlite, Game_Count_Pro_II.sqlite-shm, Game_Count_Pro_II.sqlite-wal (Use uppercase "i" for II). When the new app, Game Count Pro II, is loaded, before running it, use the File Sharing mode of iTunes to copy the three sqlite files to the new app. It is suggested that if location and species json files are also used, then the "Build databases" feature is run first to load species and location data, then when the "Record game counts" button is pressed for the first time, the data from the previous app version will be loaded, and any species or locations that are not in the pre-loaded files, if used, will also be loaded. This will occur only once. Subsequent uses of the app will ignore this feature. To use the first time use loading facility to batch load species and/or location data, create json files, instructions for how to do this can be found by clicking here . For an external GPS device we use a Bad Elf GPS Pro with good results.